The Lumix GH4 seems to be the go-to solution for many independent filmmakers already looking for an “out of the box” 4K camera with a small footprint for not a lot of money. We shouldn’t be surprised by the fact that the camera is still quite popular even a year after it officially hit the shelves considering the exceptional video functionality it provides for the price. Yet, many are still wondering which are the most practical lenses and accessories they need to buy in order to build their ultimate kit for the GH4. Recently, the US-based film director and cinematographer Tom Antos released an extended, in-depth video where he speaks about his personal preferences in terms of the lenses, accessories and all the gear he carries with him while shooting with the GH4. He already had the chance to use the camera on multiple projects and he shares his experience in return to the numerous questions he receives related to the camera on a daily basis. The first two lenses Tom Antos recommends if you bought the GH4 camera recently and you are just starting to build your kit are the Lumix Vario 12-35mm f2.8 and Lumix Vario 35-100mm f2.8 Zoom Lens. Having a zoom lens for shooting video probably isn’t the best possible initial choice you can make. However, these two lenses will give you all the coverage you typically will need no matter of the project. Both are considerably fast lenses with a constant aperture of 2.8 and build-in image stabilisation and auto focus, which are nice features to have. If you want to take the prime lenses route, and you are serious about filmmaking getting any of the Rokinon Cine Lenses for Canon EF Mount is almost a mandatory investment. 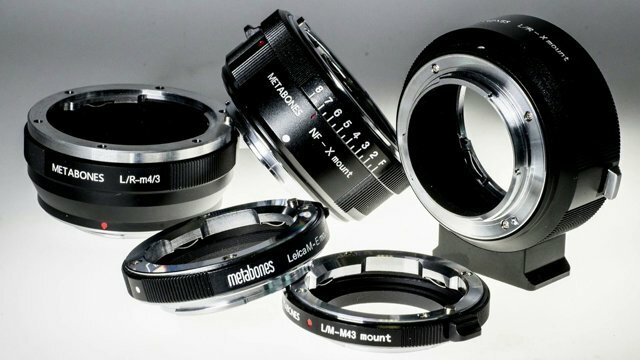 These lenses can be easily adapted to the Micro 4/3 mount of the GH4 using some of the available lens adapters such as the Metabones M43 Mount to Canon EF Speed Booster, Active Micro 4/3 mount to Canon EF Adapter or Passive M43 Mount to Canon EF Adapter. Some of the other prime lenses Tom Antos utilises are Canon 50mm f1.4, Sigma 10-20mm f4-5.6, Sigma 70-300mm f4-5.6 along with a bunch of manual lenses such as Nikkor 24mm, f2.8, Nikkor 50mm, f1.8 and Nikkor 105mm f2.8. Among the other accessories you can find in his backpack are the CAMTREE GH4 Cage, a Multitool, Pelican Case for SD cards, Cine Lens Gears for Photo Lenses, Step Up/Down Rings, 77mm Tiffen Polariser Filter, a bunch of additional batteries for the camera itself, lens cleaning tool and a Micro Tripod. On the audio side, having a separate audio recorder such as the Zoom H4n or any other of the popular Zoom’s professional audio solutions is also a great add-on to have, especially if you don’t own the considerably expensive YAGH interface for the GH4. Of course, there are many other things that you can include or exclude from your GH4 kit depending on the project and the presonal requreiments you have. Still, Tom Antos recommendations on the topic is a great place to start. What is your ultimate GH4 kit? Feel free to share your thoughts and experience in the comment section below.